COLUMBUS, Ohio — There’s no better place to finish your season than the state championships. 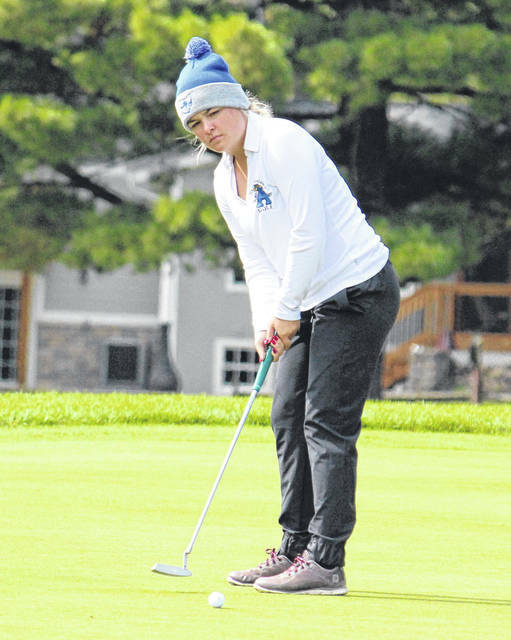 The Gallia Academy girls golf team wrapped up its 2018 campaign on Friday and Saturday in the OHSAA Girls Division II State Championship at the Ohio State University Golf Club’s Gray Course. The Blue Angels — finishing 12th in their first-ever state appearence — recorded a 398 on the opening day of the tournament and followed it up with a 399 on Saturday in the play five, count four format. 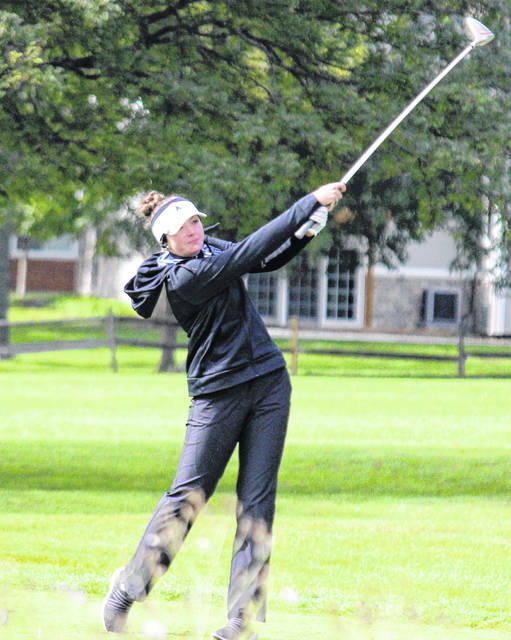 Gallia Academy’s top-finisher was senior Molly Fitzwater, who shot 100 on Friday and 93 on Saturday for a 193, the 45th best round of the tournament. 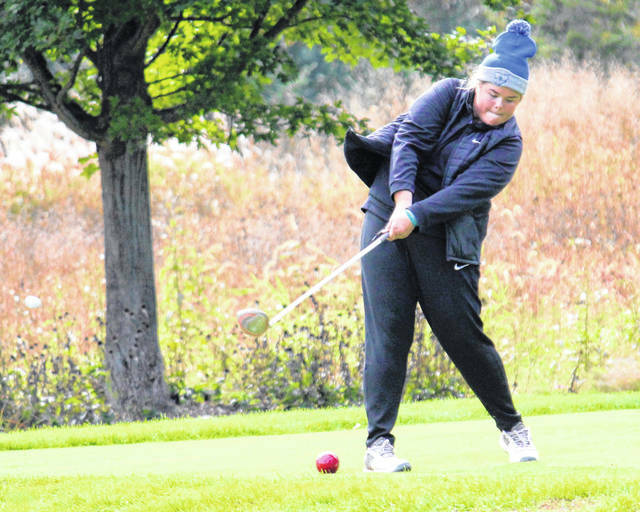 One shot behind Fitzwater, fellow GAHS senior Hunter Copley fired a team-best 90 on Friday, and then posted a 104 on Saturday, placing her in a tie for 46th at 194. Blue Angels junior Bailey Meadows had a two-day total of 195, firing a 103 on Friday and a team-best 92 on Saturday, tying her for 48th overall. GAHS sophomore Lilly Rees was 67th overall with a two-day total of 215, combining a 105 from Friday with a 110 on Saturday. Fellow Gallia Academy sophomore Avery Minton tied for 70th overall, combining Friday’s 120 with Saturday’s 116 for a 236 total. Lima Central Catholic won the team title with a two-day total of 652, 22 strokes ahead of runner-up Shelby. Sugarcreek Garaway was third at 681, followed by Cincinnati Wyoming with 711, Shaker Heights Laurel with 733 and Youngstown Cardinal Mooney with 737. Bellefontaine Benjamin Logan was seventh with a 745, three strokes ahead of eighth-place Bellevue. New Paris National Trail was ninth at 752, Bloom-Carroll was 10th with a 764, St. Henry was 11th at 766, while Gallia Academy was 12th with a 797. 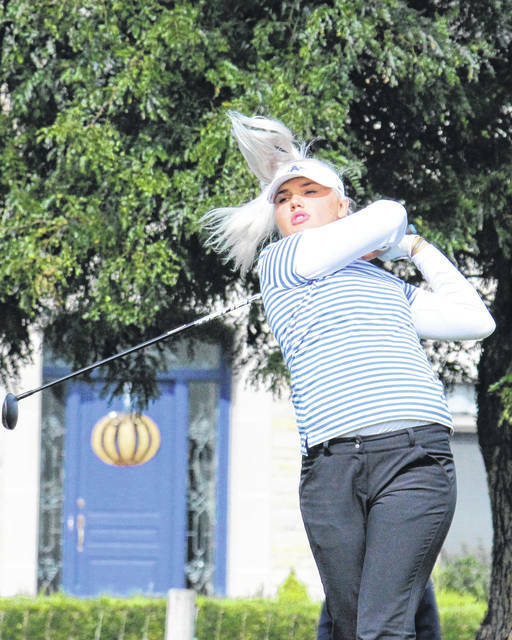 There was a tie for the low-score of the tournament, as Kyleigh Dull of Kansas Lakota, and Jami Morris of Shaker Heights Laurel both shot 73 on Friday and 74 on Saturday for matching 7-over par 147s. 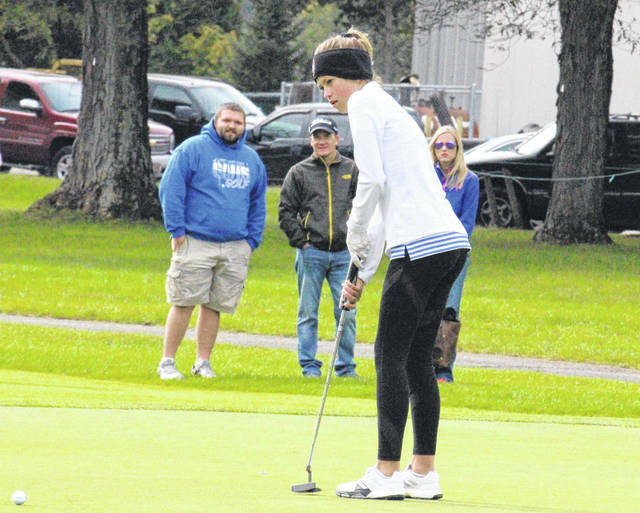 Shelby’s Amanda Ruminski was one shot back in third. A total of 71 golfers competed on the 5,560-yard par-70 course for two days. Visit ohsaa.org for complete results of the 2018 OHSAA Girls Division II State Championship.